Missiles have a fiery tail with whistle and loud report. 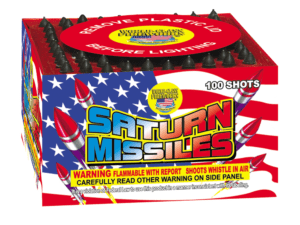 After several missiles are fired it adds crackles and starts to shoot several at one time. Fantastic effects!